Goodness, it seems as though when God is on the move that the Devil is out to mess with us. Sammy woke up this morning with blood in his stools AGAIN!!!! :-( It is so hard to not get frustrated with this situation. We are praying and believing that this is nothing and that there will be no further bleeding this weekend. Please lift him in your prayers. Also Sammy's little friend Keegan (I have written a lot about him on the blog, see the label list, was on the way to the emergency room earlier today with a high fever and breathing difficulties. Keegan has been on antibiotics and is still getting worse. 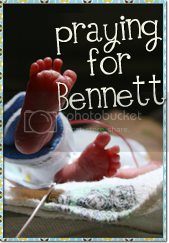 Please pray for complete healing for his little body too. 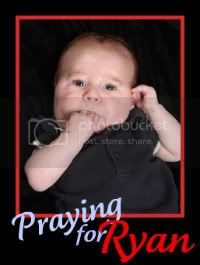 Thank you for praying for little Josiah, he is doing much better and has gone home today. We had Josiah's twin brother for the day, and him and Sammy sure did make a mess of our playroom. :-) But they had a wonderful time together, and I am always amazed listening to these little guys talking about God, and Jesus. Some of the conversation today "Well Josiah is in the hospital, but God is telling the doctors what to do to make him better." And then after Ben left, Sammy said a little prayer thanking God for his friend:-) LOVE IT!!!! We are so excited to be going to our church tonight for something called "Family Fall Fest: Fall Voyage." It is a wonderful time of games and candy for the kiddos, all the while being surrounded by God's love. What can be better than that? NOTHING!! !